Pulmonary function tests (PFT) are usually useful to confirm the diagnosis, as well as for guidance to therapy and also to clarify the prognosis of several respiratory diseases, but only recently it gained interest in preschool aged children. Published papers have shown the feasibility of respiratory function testing in preschool aged children, as in the context of clinical investigation, as in clinical daily practice, but more investigation is needed to demonstrate PFT usefulness, particularly in clinical correlation and prospective follow-up of preschool asthmatic children. Luís Miguel Borrego and Mário Morais-Almeida have nothing to disclose in relation to this article. This article is a short opinion piece and has not been submitted to external peer reviewers. No funding was received in the publication of this article. Regarding animated spirometry, reporting forced expiratory volumes (FEV) of less than one second has increased the number of successful PFT in younger children, where reporting FEV0.75 has been useful. A positive bronchial challenge test is important to assist the diagnosis of bronchial asthma, and has been clearly defined in older children and adults (increased FEV1over 12% and 200mL).12-14In preschool children this cut-off hasn´t have been clearly defined yet. There is little doubt about the value of lung function tests in clinical or epidemiologic research studies; nevertheless its usefulness in order to determine the clinical management in the individual must be used with caution.16In fact, PFT cannot be used as the determinant for the diagnosis, which is by definition clinical, but only to assist the diagnosis and follow-up. Moreover, the first lung function test ever made to a child is essential for follow-up, and used as the reference for the following ones. In the future more studies are necessary to demonstrate PFT usefulness, particularly for correlation to clinical diagnosis as well as prospective follow up studies of preschool asthmatic children. 1. Beydon N, Davis SD, Lombardi E, et al., An official American Thoracic Society/European Respiratory Society statement: pulmonary function testing in preschool children, Am J Respir Crit Care Med, 2007;175:1304–45. 2. Antunes J, Borrego LM, Importance of lung function testing in young children, Rev Port Imunoalergologia, 2009;17:489–505. 3. Aurora P, Stocks J, Oliver C, et al., Quality control for spirometry in preschool children with and without lung disease, Am J Respir Crit Care Med, 2004;169:1152–9. 4. Bisgaard H, Nielsen KG, Plethysmographic measurements of specific airway resistance in young children, Chest, 2005;128:355–62. 6. Stanojevic S, Wade A, Stocks J, Reference values for lung function: past, present and future, Eur Respir J, 2010;36:12–9. 7. Kirkby J, Stanojevic S, Welsh L, et al., Reference equations for specific airway resistance in children: the Asthma UK initiative, Eur Respir J, 2010;36:622–9. 8. Borrego LM, Couto M, Almeida I, Morais-Almeida M, Pre-school spirometry in clinical practice, Rev Port Imunoalergologia, 2012;20:23–31. 9. Veras TN, Pinto LA, Feasibility of spirometry in preschool children, J Bras Pneumol, 2011;37:69–74. 10. Klug B, Bisgaard H, Specific airway resistance, interrupter resistance, and respiratory impedance in healthy children aged 2-7 years, Pediatr Pulmonol, 1998;25:322–31. 11. Borrego LM, Stocks J, Almeida I, et al., Spirometry in preschool age children with asthma: Repeatability and bronchial challenge test, Arch Dis Child, 2013;98:112–7. 12. Galant SP, Morphew T, Amaro S, Liao O, Value of the broncho dilator response in assessing controller naive asthmatic children, J Pediatr, 2007;151:457–62. 13. Pellegrino R, Viegi G, Brusasco V, et al., Interpretative strategies for lung function tests, Eur Respir J, 2005;26:948–68. 14. Pellegrino R, Antonelli A, Mondino M, Bronchodilator testing: endless story, Eur Respir J, 2010;35:952–4. 15. Mota I, Benito-Garcia F, Almeida I, et al., Broncodilatação na espirometria em idade pré-escolar, Rev Port Imunoalergologia, 2015;23 (Suppl. ):61 (poster). 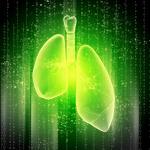 Vibrating Mesh Nebulisers – Can Greater Drug Delivery to the Airways and Lungs Improve Respiratory Outcomes?